Our Jerky Bars™ are high protein, low glycemic bars balanced with real fruits and veggies that you can see. The Jerky Bars™ are low glycemic to align with your dog's natural diet. 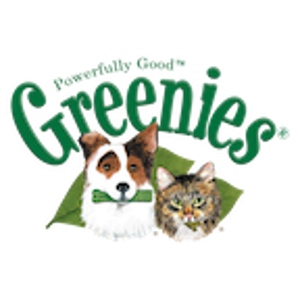 They are formulated with added vitamins & zinc and are made with real ingredients such as peas, carrots, and spinach. DOGSWELL® Jerky Bars™ contain NO grains, corn, wheat, soy or potatoes. Our lambs are raised with NO antibiotics or added hormones. 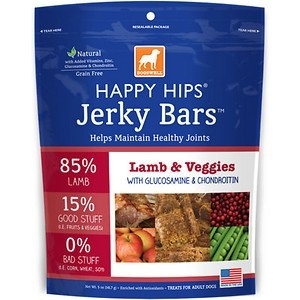 The HAPPY HIPS® formula contains Glucosamine & Chondroitin to help maintain healthy joints.